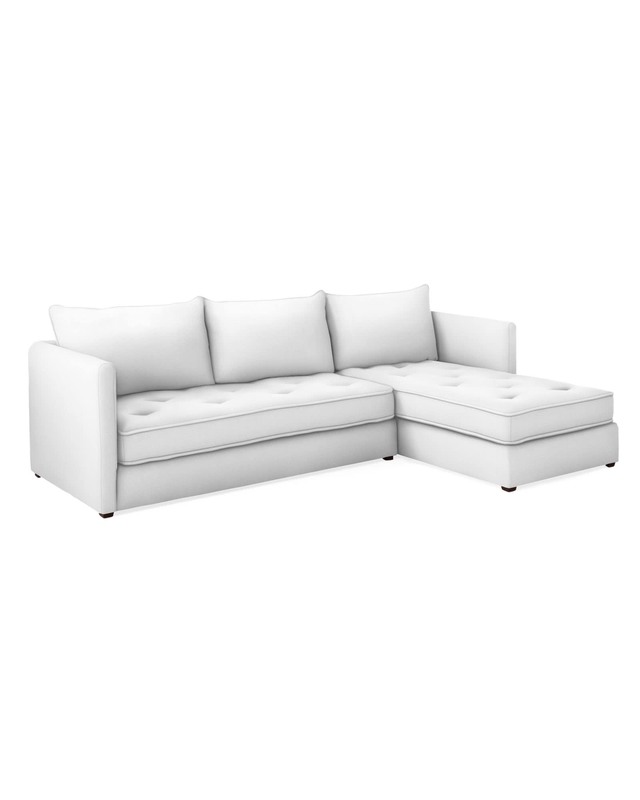 Bennett Chaise Sectional - Right FacingBennett Chaise Sectional - Right Facing, alt="Bennett Chaise Sectional - Right Facing, "
Print The perfect example of approachable elegance, this takes lounging up a notch with roomier proportions and beautiful detailing. 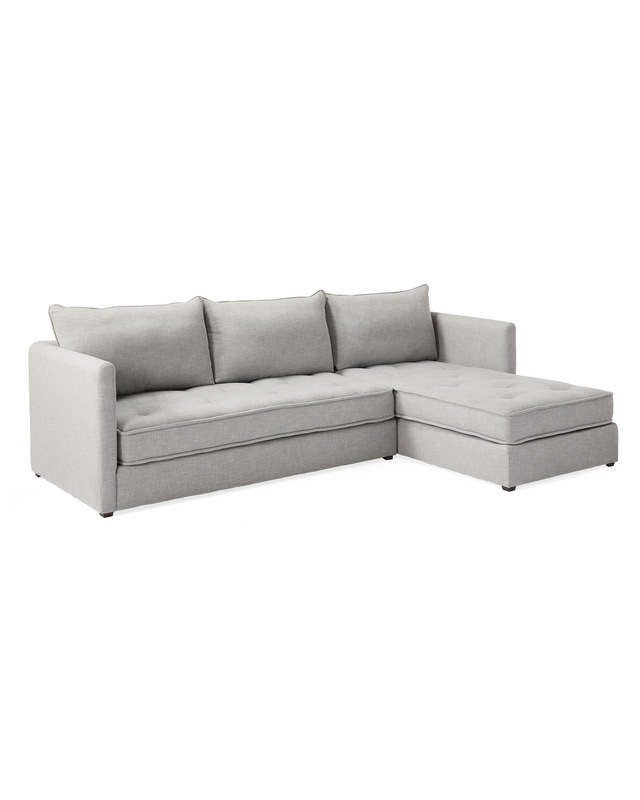 Button tufting and piped seat cushions give this bespoke quality, but the ample back cushions are constructed to be a bit more relaxed. Slim arms make the frame less bulky for a more modern attitude. Crafted by one of the country’s finest furniture-makers, it’s beyond comfortable and made to last. Cushions are made of regenerated fiber-wrapped, soy-based foam core with downproof ticking. 121"W x 79"D x 39"H overall.